The venue for this festival lies between the surprising Ortegal Cape and Estaca de Bares, on the slopes of the Capelada, Coriscada and Faladoira Hills that lead to the sanctuary of San Andrés de Teixido. This is an area of great geological value where the sea flows gently into the land, forming a maze-like inlet. It is here, among the magnificent beaches, archaeological remains and strong Celtic traditions, that this festival of Celtic solidarity is held during the third weekend in July. 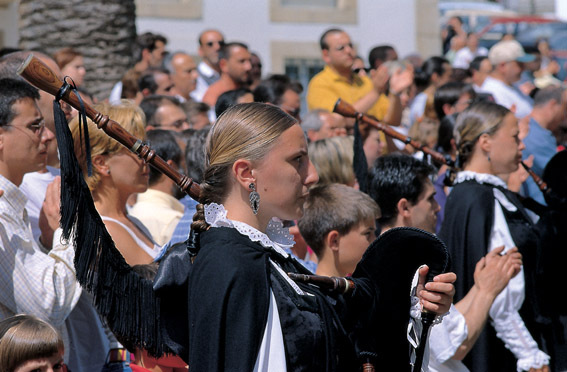 Particular emphasis is given to traditional and contemporary music, and the finest groups in the Western Atlantic region regularly come to perform at Ortigueira.